Stansted Airport BnB - Bed and Breakfast close to Stansted airport situated to the north east of the airport, about a seven minute journey by car. 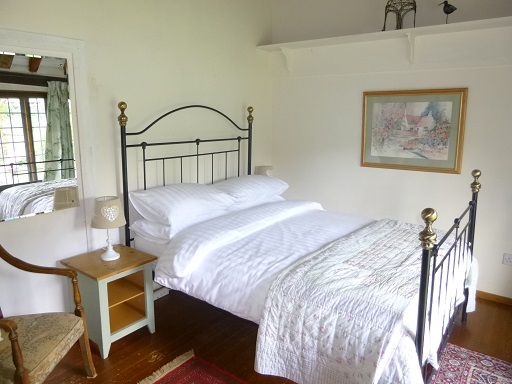 The B & B is a pretty thatched cottage in a delightful setting, adjoined by a 15th century barn with willow-lined pond, moor hens, ducks and other assorted wildlife. 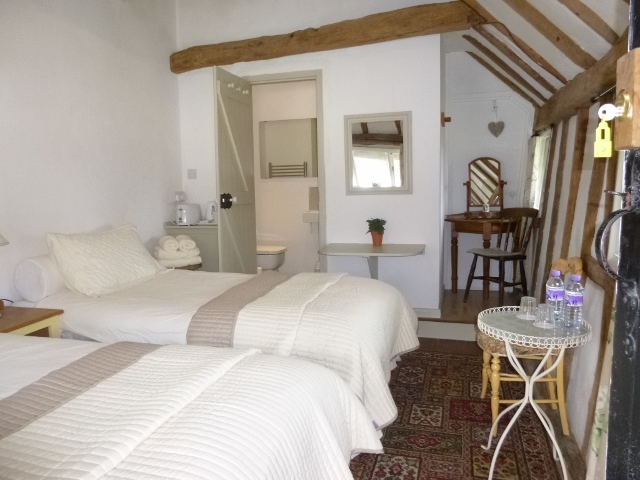 We have a selection of well appointed rooms decorated in a country cottage style. 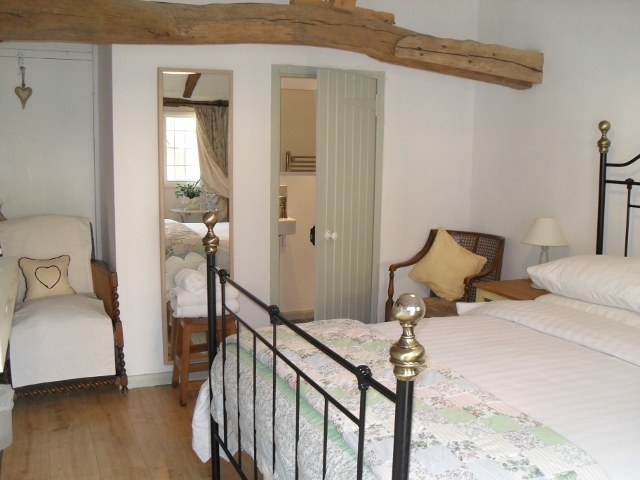 Accommodation comprises two double rooms and twin room; single occupancy of twin room is also available. All rooms have private exterior access, wi-fi, flat screen tv, hair dryer, toaster and tea and coffee making facilities. Ironing board also available on request. Continental breakfast is served in our farmhouse style kitchen or for very early risers we offer a breakfast basket full of pre packed goodies which can be eaten in the room or taken on your journey. The local Village Link bus service route no.6 sets down and picks up at our gate and travels north to the market town of Saffron Walden via Thaxted with its' picturesque windmill, guildhall and parish church, or south to Bishop's Stortford via Stanstead airport. Trains run frequently to London (Stansted Express - London Liverpool Street 45 minute journey) or to Cambridge (30 minute journey) Coaches to London, Heathrow, Gatwick and Luton run frequently. London Stansted is near Bishops Stortford. Car Parking and transfers available. Parking & transfers to and from Stansted Airport available. If cancelled up to 5 days before arrival date, no fee will be charged. If cancelled later than 5 days before arrival date or in the case of a no-show, the total room price of the room/s reservation will be charged.